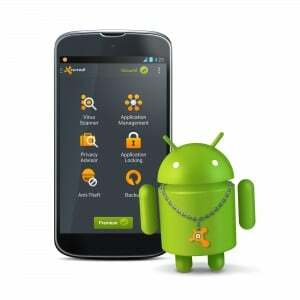 More than 25 million Android smartphone and tablet users protect their precious devices with AVAST’s free security app. Today, we are happy to provide even more awesome features in our new premium version, avast! Mobile Premium. The security of data on mobile devices is a growing concern. Over a quarter (26%) of mobile phone owners have lost their phone or had it stolen, and that means that photos, contacts, and personal information, and in a growing number of cases- company data, is exposed to crooks. This data loss is exacerbated because nearly 50% of US smartphone owners do not back up their content. avast! Mobile Premium can help you recover your lost phone and data with superior back-up and anti-theft technology. 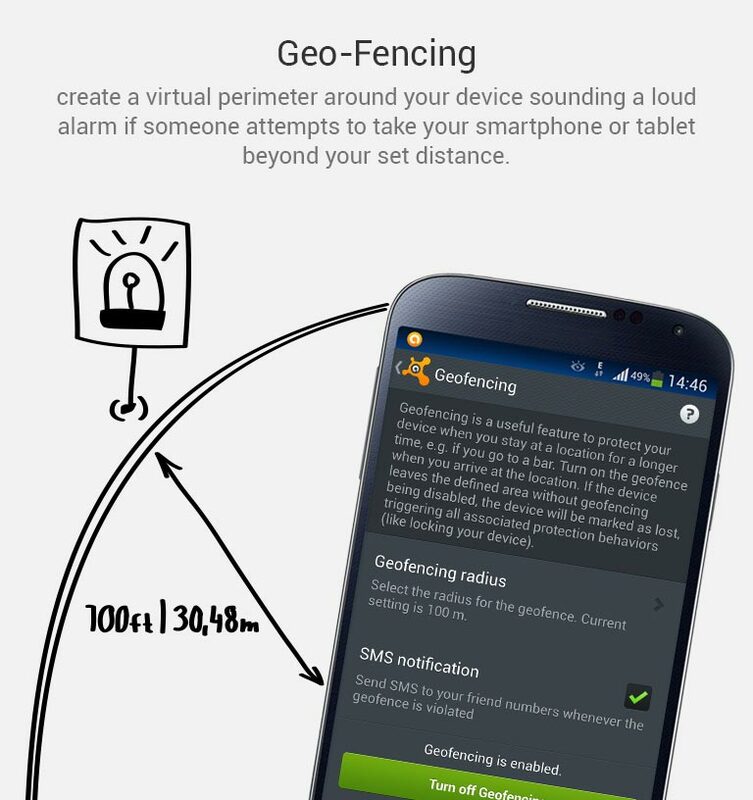 Geo-Fencing is one of the clever anti-theft features of avast! Mobile Premium. You set up a perimeter, for example, around the coffee shop, and choose some actions like setting a loud alarm. If a sticky-fingered thief tries to take your phone outside of the perimeter when you are distracted by your mocha latte, the alarm goes off, or the phone is locked. Gotcha! Free customers can already remotely locate, lock, or wipe data from their lost phone, or sound an alarm. Now avast! Mobile Premium customers can take a picture of the thief or record sounds if an attempt to break into their phone is made. Password Check keeps nosy people or data thieves from snooping around your messages, emails, and other personal information. After 3 wrong attempts to break in, the phone is locked. You can lock apps, like online shopping and banking apps, from prying eyes as well with App Locking. Losing your phone is terrible, but it doesn’t have to be devastating – if you have your data backed up. avast! Mobile Backup backs up your contacts, text messages, and photos (also available in the free version), and with avast! Mobile Premium you can back up apps, music files, videos, and even game scores. So even if you never recover the hardware, you can recover the valuable data. Theft is not the only way to lose data. The incidence of Android-targeted malware is increasing as the user base increases. avast! Mobile Premium includes the same antivirus and anti-malware protection as the free version, which was certified by independent testing organization AV-Test for top-level usability (100%) and effectiveness (99.8%), as well as being awarded with the Editor’s Choice award from PC Mag and Laptop. avast! Mobile Security and avast! Mobile Backup are both available for download in the Google Play store and can be used stand-alone as free versions or be upgraded to avast! Mobile Premium for access to all premium features. avast! Mobile Premium is available for $1.99 per month or $14.99 per year. Download and install on your Android device now.